Xaysouvanh Phengphong (sy-soo-vun pang-pawng) 1950, is a sixteen-year transport Pilot for Laos; The US Air Force certified Pilot in Vietnam War (1970-1973). At fifteen, Xaysouvanh wrote poems at high school. Later, hundreds of his poems and short stories appeared in public. His novel:”Birds of Ten Autumns”was published in Laos and in Thailand. “The God’s Liquor” and “Buffalo Passengers” the short story compilations were published soon after. Xaysouvanh's short story ”Suicide” published in the "europe" magazine in Paris, France and the ”Mother” poem in Bulgaria. Xaysouvanh’s poems: ”Unique Moon”, was published in “America at The Millennium - The Best Poems and Poets of the 20th Century”; ”Unseasoned Snow” and”Fallen Yellow Leaves” were published in the "Great Poems of the Western World" volumes; ”The Pink Lotus” was published in “Sunflowers and Seashells: Days Remembered” collection; ”Horizon and the sea”and ”Fireflies” were respectively published in the “Great Poets Across America” and in the “International Who’s who in Poetry” collections. 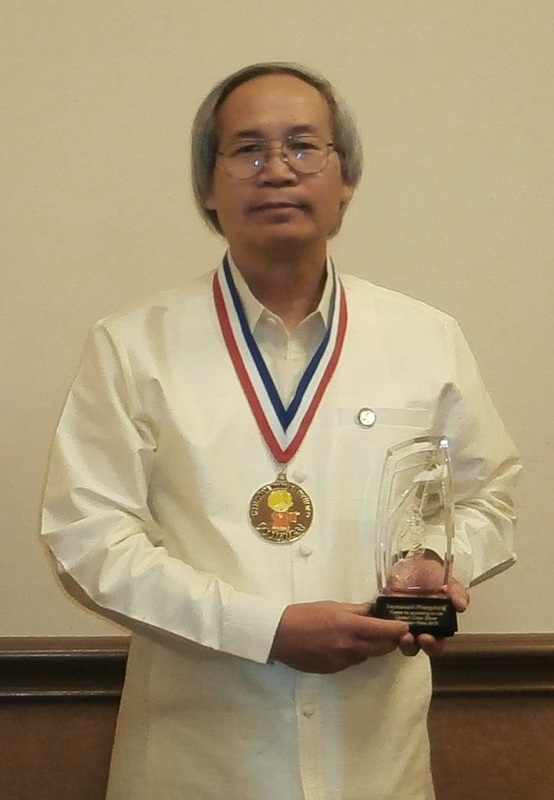 "Poetry Gold Medal of Excellence" Recipient in 2013, USA. Xaysouvanh put ”Seo Swart”, the 45 Lao classic tales of the 18th Century, into today’s Poetry. Xaysouvanh has been in more than twenty countries before he became a US citizen and resided in West Valley City, Utah since 1991. Copyright © 2013-2015 Xaysouvanh Phengphong. Travel theme. Powered by Blogger.